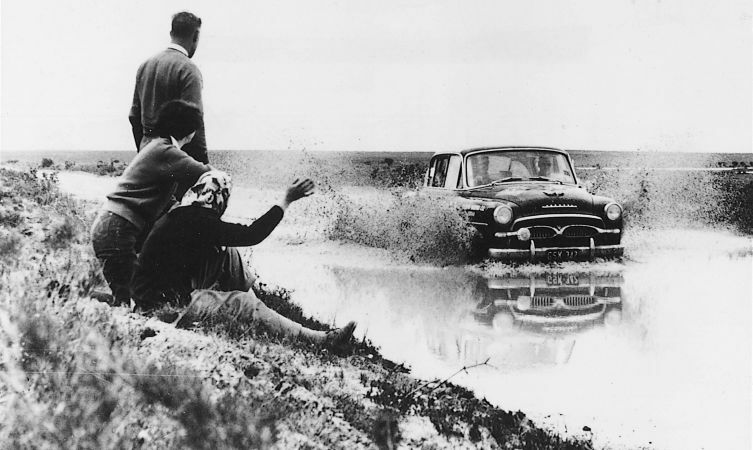 Home > Latest News > What was Toyota’s first rally car? What was Toyota’s first rally car? 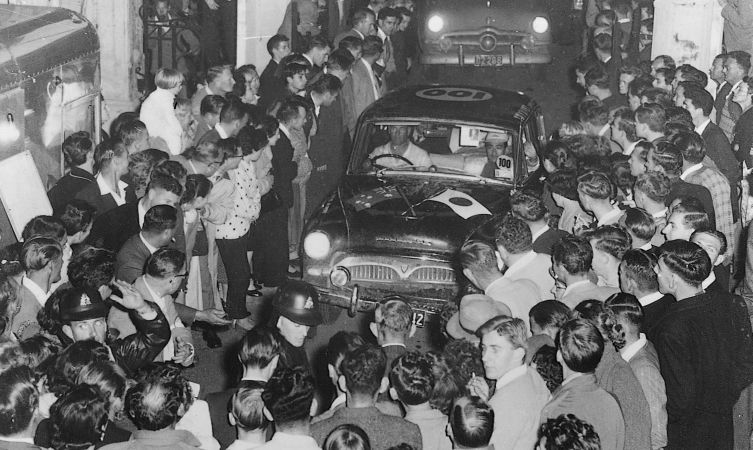 The car pictured in these two colour photographs is a faithful replica of the Toyopet Crown Deluxe which took part in the 1957 Round Australia Trial – an event that saw Toyota become the first Japanese car manufacturer to compete in international motorsport. What were the circumstances surrounding the development of Toyota’s first rally car, and how did it fare? August 1957 was a landmark month for Toyota and its recently introduced Crown model. It marked the manufacturer’s first acquaintance with the mainland United States. 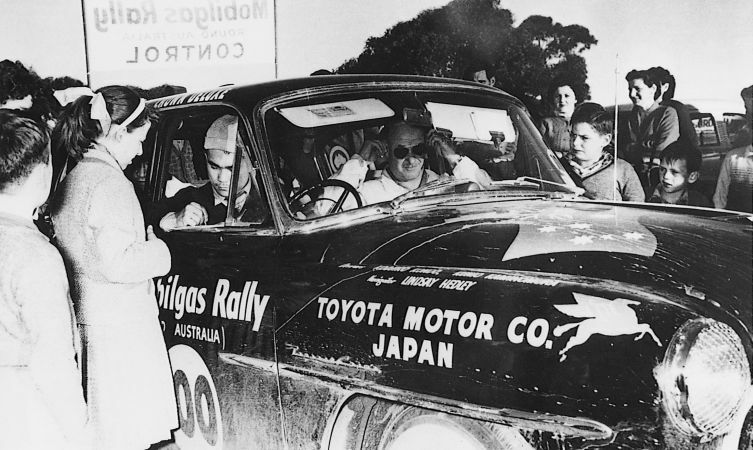 But on the other side of the Pacific, entry of a Crown in the Round Australia Trial saw Toyota become the first Japanese car manufacturer to compete in an international motorsport event. More than five years earlier, Kiichiro Toyoda (founder of Toyota Motor Corporation and president from 1941-1950) foresaw the importance of motorsport in promoting public motorisation. Unfortunately, Kiichiro died before seeing his prediction become reality under the direction of his cousin and successor, Eiji Toyoda. Eiji was instrumental in returning the company to profitability through expansion, but he also understood how motorsport drove technical development and could be used as an effective promotional tool. Strictly speaking, Toyota had no choice when it came to vehicle selection for this rally. However, research showed that the Round Australia Trial was appropriate for Crown as the model was already tailored to cope with Japan’s mostly unmade road network. It was a brutal, 19-day and 10,000-mile circuit of the continent, with only five per cent of the entire course conducted on smooth asphalt. Little wonder the event was recognised as the world’s toughest rally. To prepare for this adventure, a regular production Crown had to be lightly modified and equipped to carry all necessary spares, water and fuel. To accomplish this, Toyota established a motorsport division within Toyota Technocraft, its recently established bodywork department. Initially running under the appropriate title of Toyota Sports Corner (or Tosco), in time this small concern grew to become Toyota Racing Development. 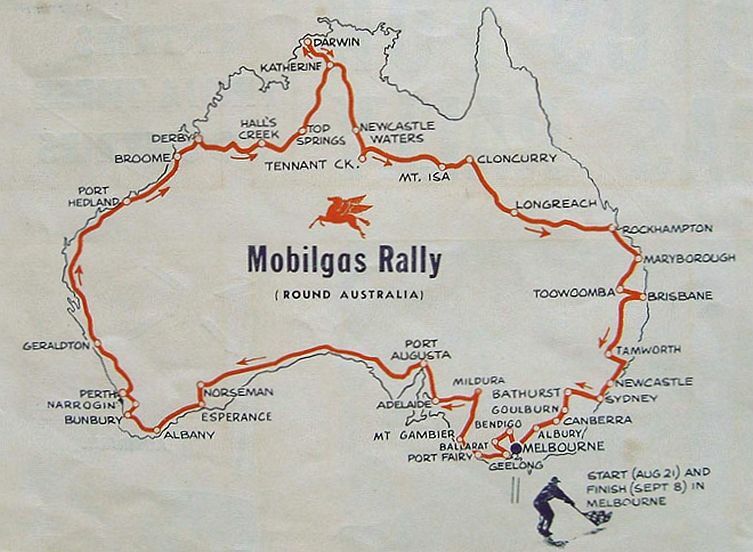 The team taking part in the rally consisted of three individuals: factory mechanics Kunio Kaminomura and Koujiro Kondo, and Australian navigator Lindsay Hedley. 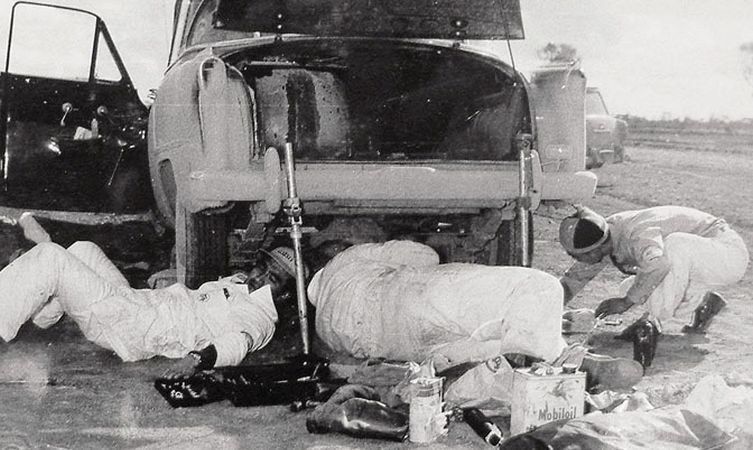 Neither of the Japanese drivers had competition experience, and the trio was sent off with no support crew or back-up vehicles. Any issues had to be resolved directly. While that was no doubt a daunting prospect, the accompanying photos clearly show the team enjoying their time behind the wheel of the Crown. 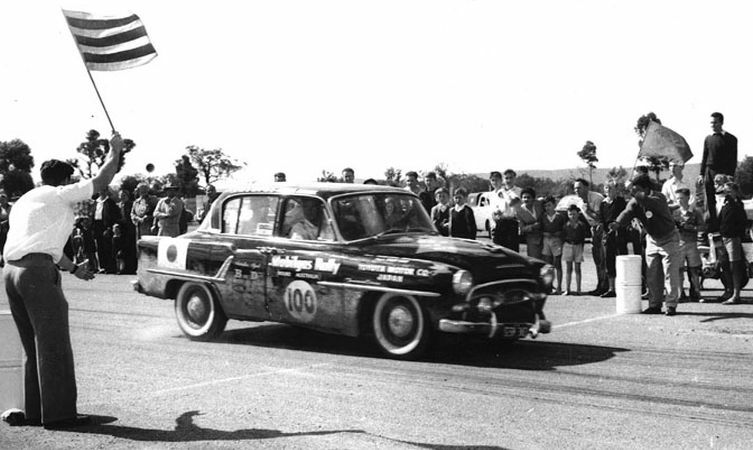 Only 52 of the 86 cars that entered the 1957 Round Australia Trial managed to complete this epic race. 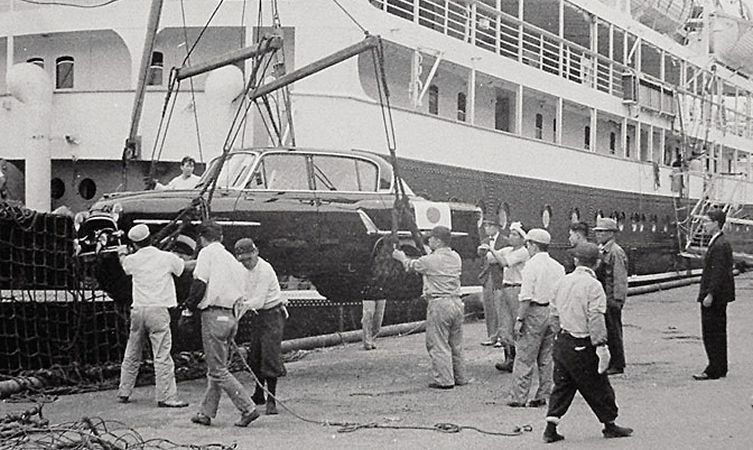 The lone Toyopet Crown was among the success stories, delivering a remarkable feat of endurance devoid of major mechanical problems. The only issue arose from slight damage to an engine intake valve, but it was not serious enough to stop the sturdy saloon. It crossed the finish line in 47th position overall and third place among the foreign entries. Toyota had sealed its place in history as the first Japanese car manufacturer to take part in international motorsport. In fact, the campaign was so well received in Japan that fellow manufacturers felt obliged to join in. The following year, Nissan entered the Round Australia Trial in a Datsun 1000, while Toyota upped its participation with a three-vehicle entry. 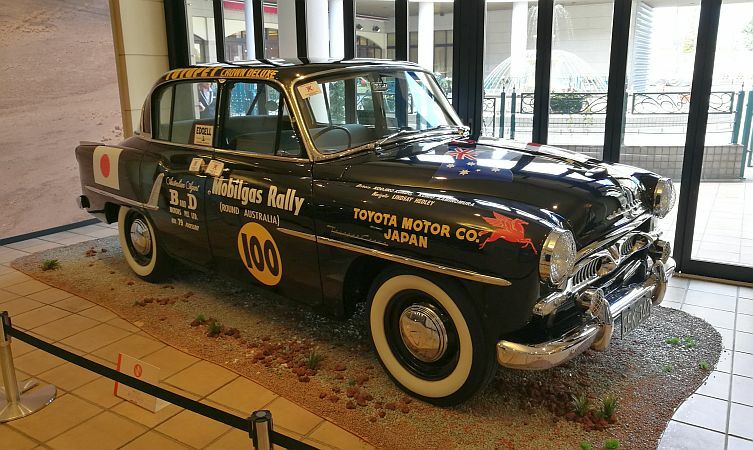 Back in Japan, however, Toyota was busy setting another precedent by winning Japan’s first legitimate road race – the 1958 Yomiuri Round Japan Rally. 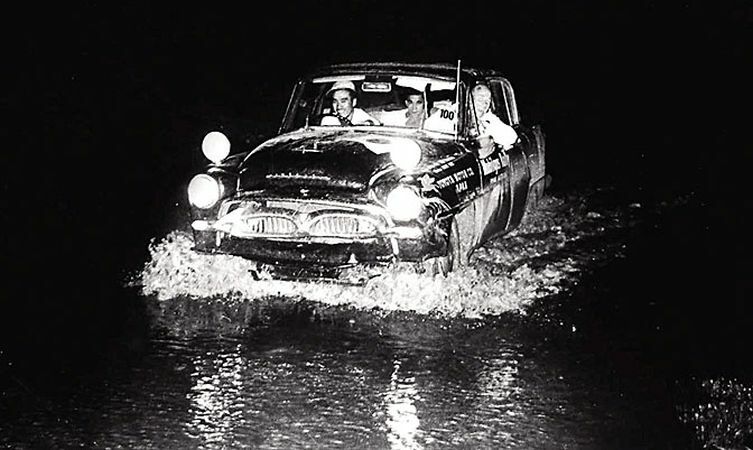 A similarly prepared Toyopet Crown entered the event, but instead of filling the car with mechanics it was driven by the husband and wife team of Yukiyasu and Misako Togo. 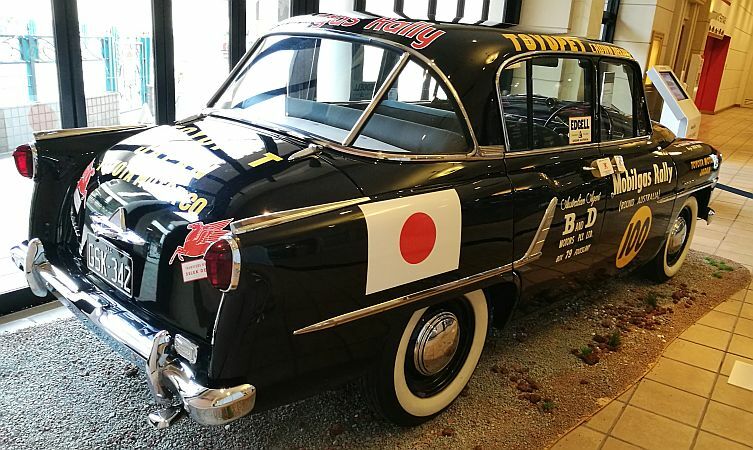 Interestingly, Togo-san would later become chairman of Toyota USA, the export market that was initially introduced to the brand by the 1958 Toyopet Crown. How do you fix condensation inside a car? I had this car in Los Angeles in the 60’s, used, of course. My father bought it, fixed it up and rebuilt the engine for me. While mine wasn’t in this pristine condition, it was my first car and I loved it! What fun it was driving this unique car! Her nickname was “Pet”, and I was constantly asked about her. I never saw another one, and I cried when someone stole her. Great memories. I had contacted Toyota a few years ago to ask about the Toyopet, and no one had any information. In an email to me, the said they’d never heard of it!! Thanks for getting in touch. We’re happy to hear you have such fond memories of Pet. 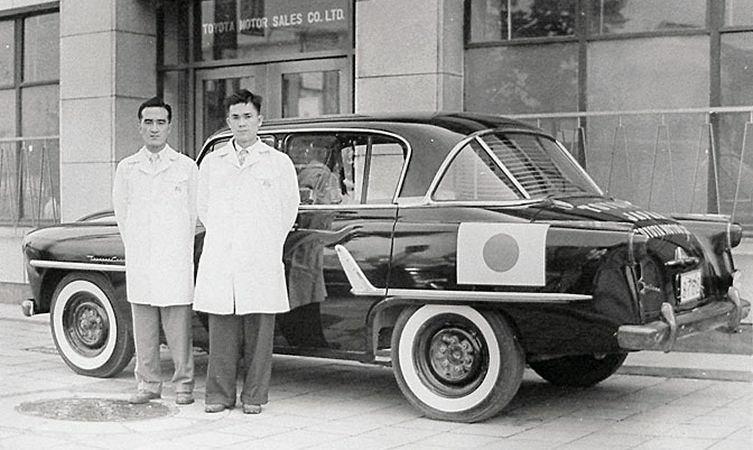 If you wish to find out more information on the Toyopet follow this link: https://blog.toyota.co.uk/toyopet-crown-americas-first-japanese-car. Many thanks. Looked similar to Simca Aronde,?